What Is the Carb Count of a Grapefruit? Grapefruit is a common fruit grown primarily in warm-weather and tropical locations such as Florida, California and Mexico. But the fruit is shipped and consumed throughout the United States and is often available year-round. As with all fruits, grapefruit is a source of carbohydrates, but knowing more about grapefruit's nutrition profile can be helpful in planning your diet -- particularly if you are a diabetic. Eating grapefruit is not as enjoyable, or beneficial, if you don't know how to pick out one that is ripe for eating. But unlike some types of fruit, discoloration in a grapefruit's rind is not a sign of decay. Because the rind protects the inner flesh of the fruit, scratches, discolorations and scaling on the rind has no effect on the quality of the fruit. Instead, check for soft sports, particularly near the stem of the fruit. Decay or rotting in the fruit won't taste as good, and it can cause the fruit to lose some of its nutrients. Carbohydrates are nutrients that raise your blood glucose levels. This can help give you energy. In diabetic individuals, though, glucose levels in the blood can be very dangerous, since diabetics are unable to produce insulin -- a compound that processes glucose -- on their own. Because of this, carbohydrates need to be counted to make sure blood glucose levels are monitored, making the carbs found in grapefruit very important information for some. According to CalorieKing.com, one serving of fresh, raw grapefruit -- equivalent to 3.5 oz. -- contains about 8.1 carbohydrates, or approximately 3 percent of your daily value. The number of carbs found in a grapefruit can vary based on the size of the fruit, so this should be taken into consideration if you are counting your carbs consumed. Carbohydrates are often broken down into two subgroups under nutrition facts: dietary fiber and sugars. Sugars are simpler than dietary fiber, which is a complex nutrient that can help cleanse the body of unwanted contaminants like cholesterol. Of these, a serving of grapefruit contains 1.1 g of dietary fiber -- about 4 percent of your daily value -- and 7 g of sugars. Carbohydrates are necessary to maintain life. But they're not the only nutrient that needs to be accounted for. Grapefruit is a good source of several other vitamins and minerals, including vitamin C -- nearly 80 percent of your recommended daily allowance of vitamin C is found in a single serving of grapefruit. 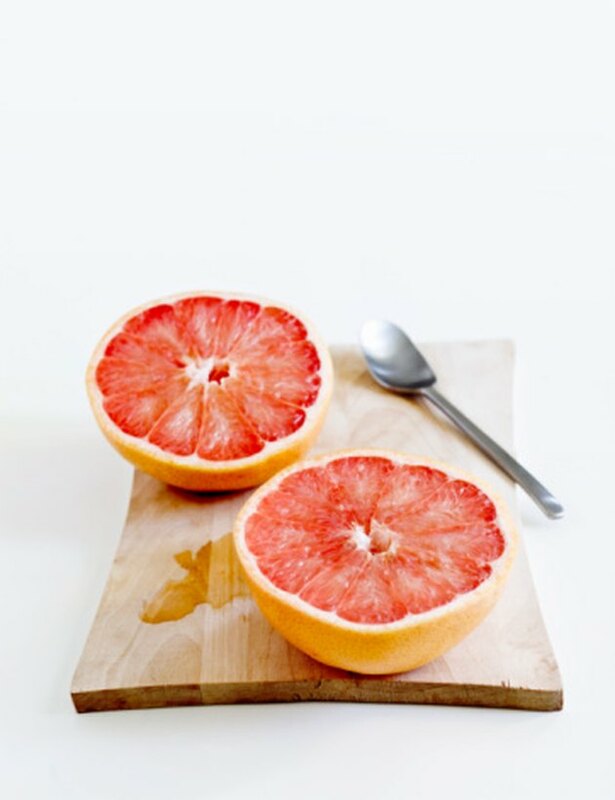 Grapefruit is also a good source of vitamin A, vitamin B-5, potassium and folate, while only containing 36 calories. How Many Calories Does a Whole Grapefruit Have?